Asiatic Lion and Gir Forest: As forests, wildlife and tribals exist in uneasy equilibrium, could lions be prey to sixth mass extinction? As forests, wildlife and tribals exist in uneasy equilibrium, could lions be prey to sixth mass extinction? Editor's note: From May 2017, Firstpost is featuring a fortnightly column by Mridula Ramesh, titled 'Climate Conversations'. In this column, we take a look at pressing issues pertaining to climate change — in an accessible way. We are in the middle of the sixth great mass extinction in Earth’s history. To put this in perspective, Earth lost the dinosaurs in the last great mass extinction event, 65 million years ago — so this is kind of a big deal. Experts say that Earth’s non-human vertebrates are facing “biological annihilation” by humanity. Lions, are “emblematic” of the problem. The lion once roamed over Africa, Southern Europe, Middle East and Northwest India. Today, it is confined to sub-Saharan Africa and a tiny pocket in Sasan Gir. Given the biological and emotional centrality of lions, it’s worthwhile to ask: What’s going on? 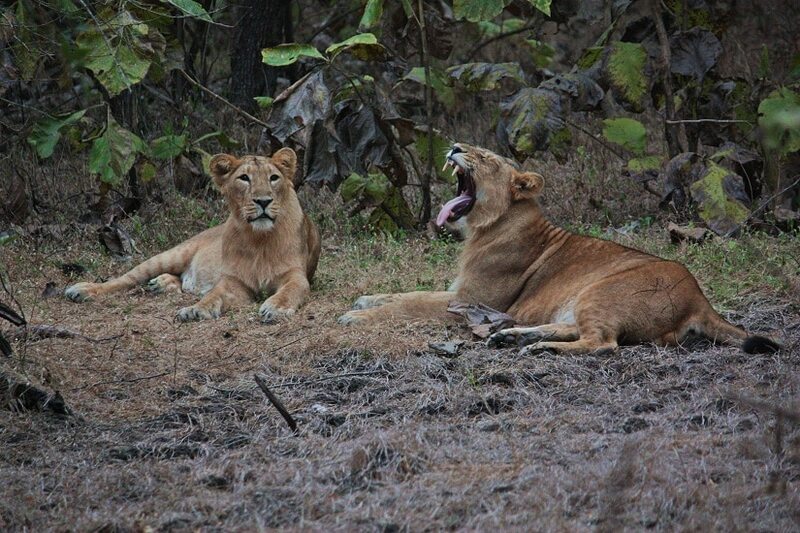 Sasan Gir: Maldhari and Lion — a uneasy but stable equilibrium? 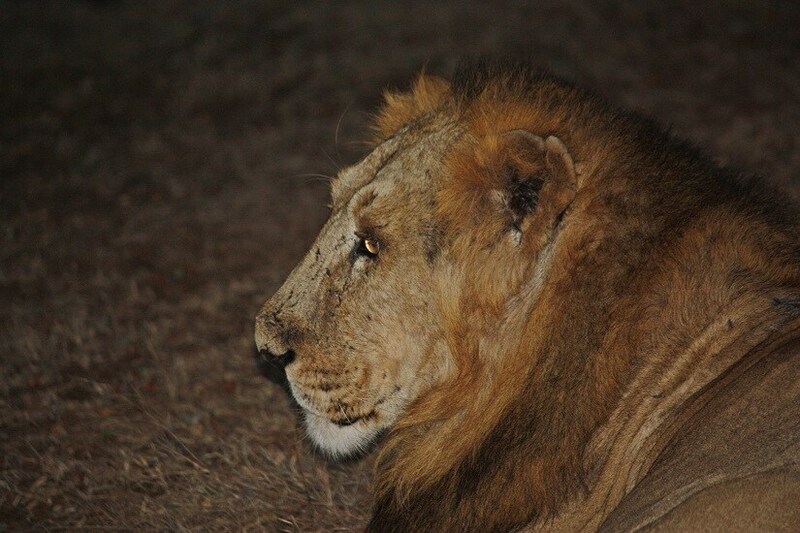 At 3.30 pm, on a cool December day, we were driving in a jeep through Zone 1 in Sasan Gir. I was not happy: Zone 1 is a less desirable zone (word to the wise: you want to be on Zones 2, 5 or 6) which winds around the periphery initially with a view to farmlands and villages. Our guide, sensing my mood and being a fantastic salesman, said “Male lion very lazy. It no like to hunt. It stay close to the fence and eat the buffalo.” Apparently, a quarter of the lion’s diet consists of livestock from the Maldhari herds that graze within the jungle. As though to underline this reality, we came upon a Maldhari herdsman tending his herd of buffalo. 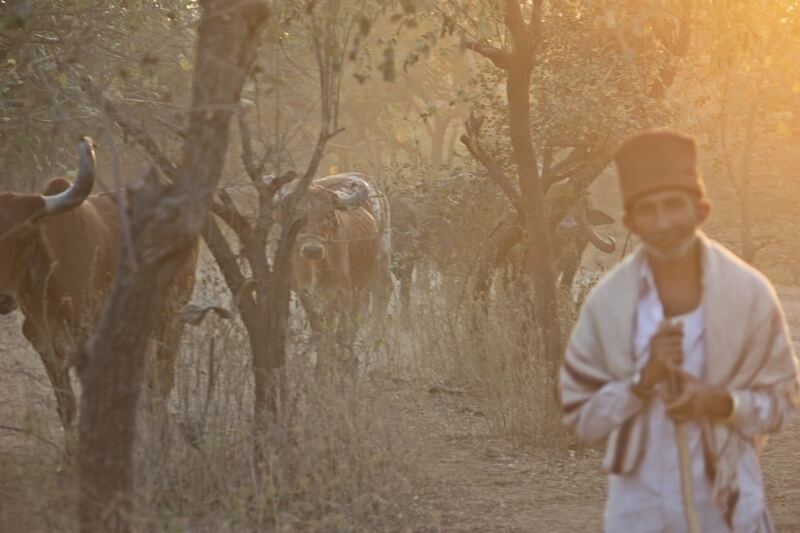 The Maldharis are traditionally nomadic cattle herdsman who have co-existed with the lions in Sasan Gir for over a century. One subgroup, the Ahirs, claim descendance from Lord Krishna. 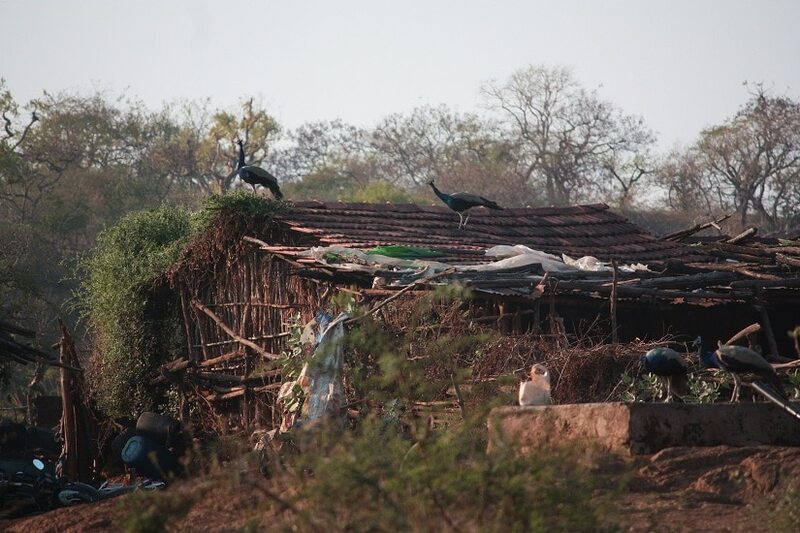 There are thousands of Maldhari residing within Gir, living in thatched settlements called nesses. They, with their over 20,000 livestock, share the sanctuary with the lions in an uneasy, but stable, equilibrium. The lions prey on the livestock and feed off the carcasses. Indeed, the livestock support a higher lion density than if the lions had only the wild prey to feed on. The Maldharis, by living within the sanctuary, get free fodder for their cattle. The equilibrium makes sense… for now. Culturally, the Maldhari have a deep respect for nature. Maldharis tend to be vegetarian, so the carcasses are of no use to them while, they are easy meat for the lions. The Maldharis are economically better off living within the sanctuary – even with the lions preying on their livestock. They have made the economics better by the way they arrange their herd: the less valuable cattle lead the herd, the valuable adult buffaloes are in the middle, and the less valuable juveniles form the rear-guard. The milch animals rarely leave the stable. This way they have ensured that the lion primarily gets the less valuable animals. The park pays compensation — lower than the market value of a milch animal — but still worth about 51 days of earnings of a Maldhari herdsman. The Maldharis have access to free fodder for their livestock, which even after adjusting for their losses due to lion predation, works out to Rs 11,04,373 per 100 livestock per year. A large amount to walk away from. The lion, unlike the leopard, has not attacked the Maldhari in the past two decades. The park employs guards and trackers to protect against any retaliation. Indeed the easiest way to spot a lion in Gir is to look for a guard, or a parked motorcycle that belongs to a forest employee. The equilibrium was not always so peaceful. In the '70s, the situation was bad, with too many livestock living within the park. The lions killed, and the Maldharis retaliated, poisoning entire prides. A resettlement package was developed and about 70 percent of the Maldhari families were resettled out of the park. In the decades that followed, the park slowly renewed itself. The vegetation grew back, and with it, the herbivore population — the sambhar, the blue bull and the chital — all increased as well. 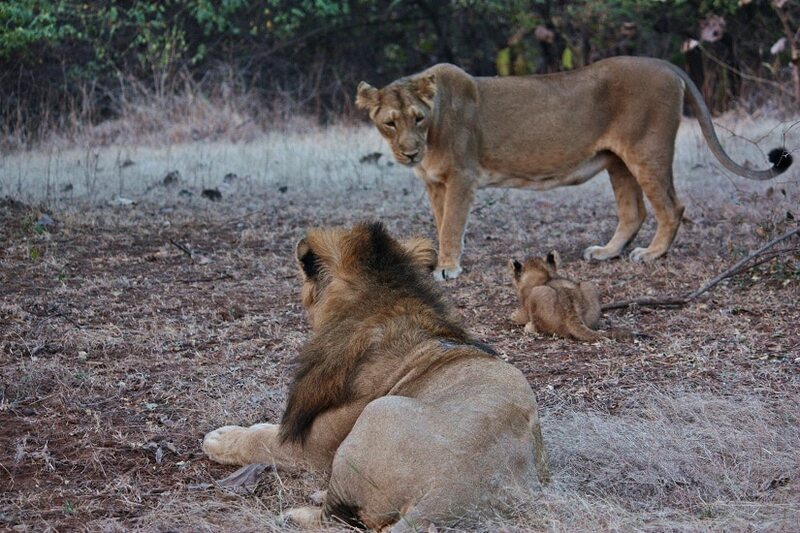 The lion population grew — from about 205 lions in 1979 to 523 lions in Gir today. But the Maldharis started coming back. Maybe they preferred life within the jungle. Or just maybe, the free fodder made good economic sense. And with them came their livestock. Today, livestock numbers are back at where they were at the height of the '70s. The lion population is now spilling beyond the sanctuary (where there are no guards to protect them), while the Maldhari livestock population within the sanctuary is growing. This is not sustainable. Across India’s splintered forests, there is an uneasy coexistence of man — in his most vulnerable form — and beast. Many champions of tribal rights also gloss over a phrase in paragraph 2 of the bare act: “the rights…also include the responsibilities and authority for sustainable use, conservation of biodiversity and maintenance of ecological balance…”. And many aspects of the act may mean tribals will need to exist in an anachronistic bubble — condemned to rain-fed, subsistence farming. Not a good fate, especially in a warming climate. Hmm. Moreover, the act is a strong political tool: by influencing its implementation, politicians have a strong card to play for tribal votes — over 100 million of them — philosophy be damned. In a test case, when a group of eight tigers were moved from Ranthambore to Sariska, one tiger died, and the rest did not do as well as the tigers in Ranthambore. Ranthambore’s tigers are better protected from outside intrusion than are the tigers in Sariska. When human contact with tigers increases, tigers get stressed. Many humans don’t breed well when stressed; unsurprisingly, it is the same for tigers. “T19 in Ranthambore is having her third litter,” says Shaktawat, “while her sister, T18, in Sariska has still not had her first litter.” The conclusion is clear: core areas of the jungle must remain inviolate for animals to thrive. Notably, the law does provide the exemption of “Critical wildlife habitats”, providing due process has been followed in resettlement of tribals. India’s forests face other onslaughts: roads, railways, dams, mining, farming and unsustainable tourism. India has lost over 14,000 square kilometres of forest over the past three decades to these. 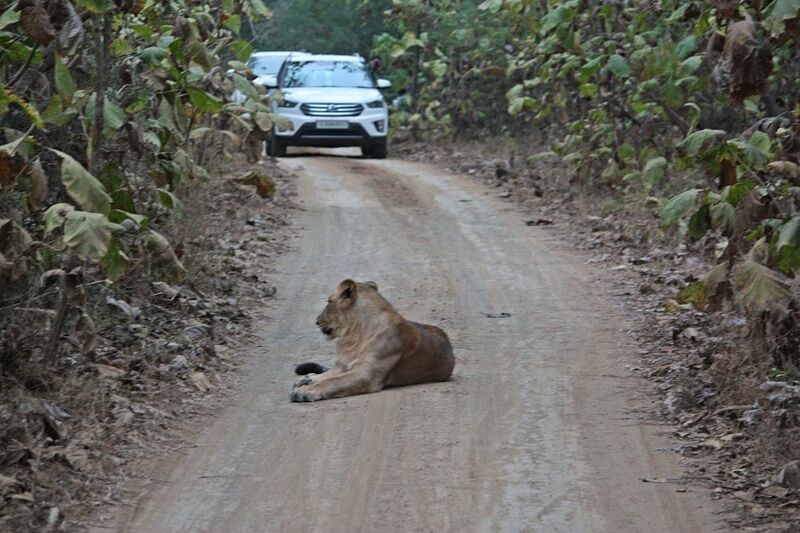 The Sasan Gir sanctuary has a railway line running through it: the risk to lions being run over is significant. Animals are often run over by roads that cleave through the jungle. Dams submerge sections of forest, displacing or killing the former inhabitants. Mining — legal or otherwise — are a serious threat to wildlife in many reserves across India. The Tadoba reserve faces an encirclement risk from coal mines, isolating the tiger population by preventing them from travelling to other reserves. Given the low utilisation of existing coal-powered power plants, it is perplexing why more clearances are given. 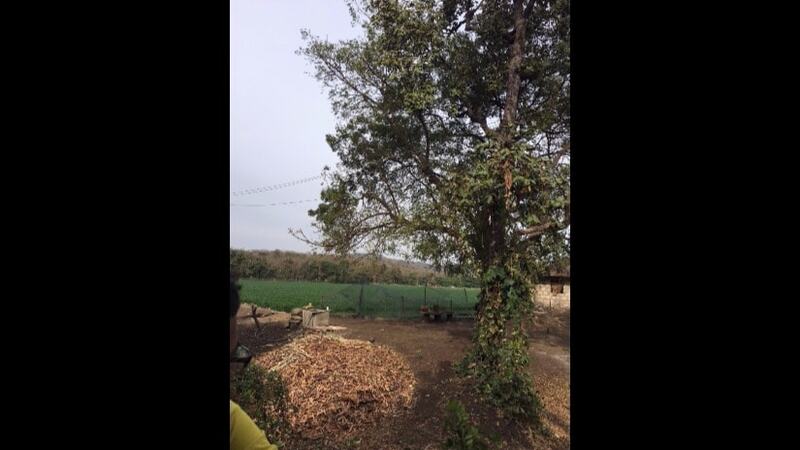 Travelling in Zone 1 in Gir gives a stark picture of the battle between Farm and Forest. Then there is the threat from unsustainable tourism. Tourism is important in creating an emotional bond between wildlife and the general population. Nothing can quite take the place of one’s first big cat sighting — much like the first kiss, it is etched in one’s memory. But the key word is sustainable. In the mad rush to get a sighting, the jeeps pile up at the spots where the big cats are, with tourists gawking and being anything but respectful towards the animals. As the animals get accustomed to human proximity and vehicle sounds, they make easier targets for poachers. This is especially salient for tigers — whose various body parts are in high demand in China. Tourism requires infrastructure — hotels, shops — to thrive. The ecological impact of sewage, power supply, and access are often ignored. Interviews in Gir confirm that there are almost twice as many illegal rooms as there are legal ones. Then there is the trash. Our guide told us that after a long weekend, it takes the forest department and the guides several days to clean up the litter that tourists leave behind. With all these threats, when we wish to promote biodiversity and forests, Inviolate means Inviolate: it is not right (nor does it help wildlife) to trample on the vulnerable while turning a blind eye to other trespassers. The FRA’s existence means man and beast need to coexist — it’s now about how to do so successfully. A much-cited success story of tribal-tiger cohabitation comes from another set of hills — the Biligiriranga (BR) Hills near Mysore, and the erstwhile home of the dreaded forest brigand, Veerappan. 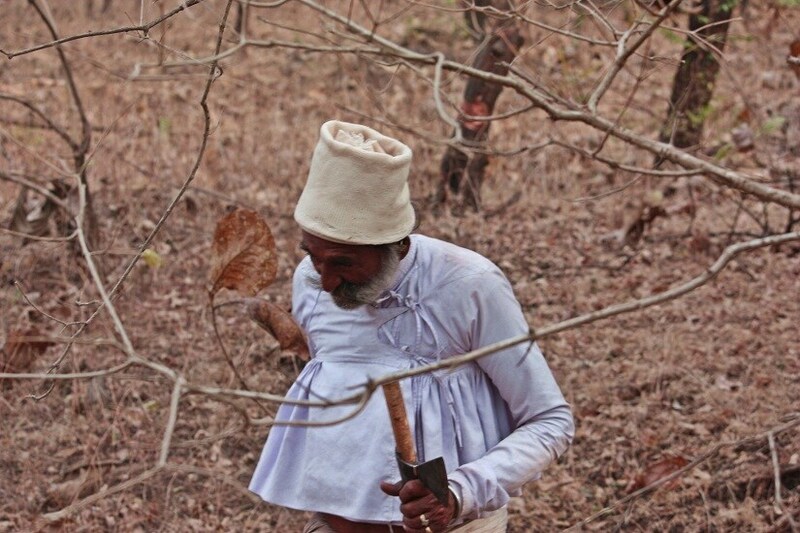 The Soligas, have been living in these forests since time immemorial, says Dr H Sudarshan, founder of Vivekananda Girijana Kalyana Kendra, an organisation that supports the sustainable development of tribal people with an emphasis on health, education and sustainable livelihoods. Why BR Hills is so interesting is that tiger populations appear to have grown while co-existing with their human brethren. One often cited reason is culture. Identities of tribes are often tightly interwoven with the trees and the other inhabitants of the forest. Nature is worshipped, and has tremendous intrinsic value to the tribal populations. As such, this makes tribes fantastic natural protectors of wildlife — far better than armchair-city-part-time-environmentalists especially when powerful interests are involved, as was shown in the Bishnoi-Salman Khan-black buck poaching case. But to maintain the ecological balance, stable tribal populations are key. “We must invest in good primary healthcare” says Dr Sudarshan. “If we can show the tribal woman that she will not lose her baby [to acute respiratory distress or diahorrhea], she herself will come in for family planning.” Another adaptation is to modify activities to minimise wildlife disruption: the Soligas have stopped practising shifting cultivation and hunting as forest sizes have shrunk. They now rely almost entirely on collecting minor forest produce and sustainable cultivation. Another is to have a good understanding between forest management and tribals. Small adjustments in boundaries can spare much conflict without reducing the forest area, says Dr Sudarshan. It also helps if forest management is proactive, rather than colonial, in its approach. When co-existence has become an inescapable reality, mutual respect and discussion can go a long way in effective solutioning. This has not always been the case — and bad relations usually has one serious casualty: the forest itself, as was the case in the 2007 fires. The fourth is to have an education system that reinforces the connection with nature while allowing tribals to seek new opportunities. With training, tribals can become the rangers, the forest officials and develop ecotourism in the area. These are jobs providing a steady income to guards who have a cultural affinity to the forest under their protection. All tribes are not equal, nor are all members of a tribe the same. Younger members, especially today in age of WhatsApp, yearn for the outside world and all its lures and charms. For them, the jungle holds little appeal. Some tribes are tribes only in name, having been granted that “favour” by politicians hungry for their vote. They are not guardians of the forest. This is important to keep in mind while implementing the individual rights to forest land. False guardians can wreak havoc. Resettled-and-returned Maldharis and the Soligas, who have tasted life outside and found it less sweet than the life and the rhythms within the forest, are different. They truly value the forest, and all its residents, perhaps more for the stint they spent outside. They understand that rights to the forests come with the responsibilities of being its true guardians. What does this have to do with the climate? 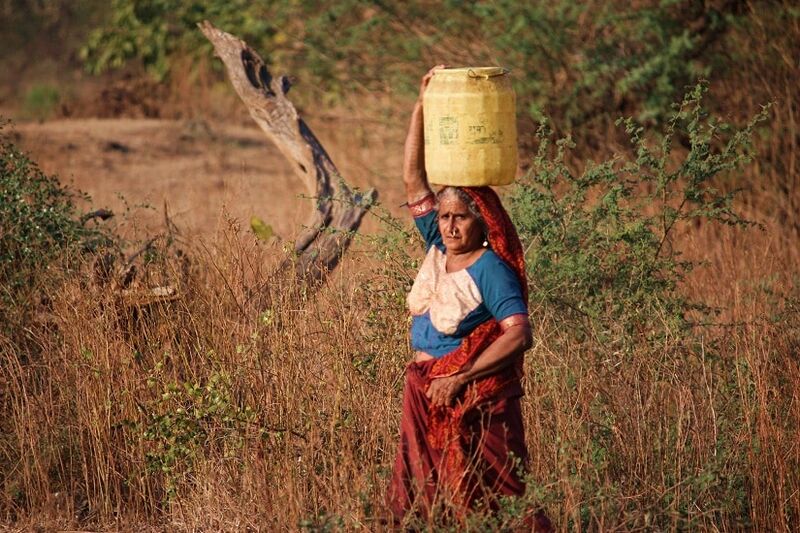 India, especially Gujarat will be hit hard by climate change — both by rising temperatures, and importantly, for Sasan Gir and Saurashtra, by increasing drought. This means the competition for resources — especially water — between man, his herds and the beast, will escalate. Across India, a drier climate increases the value of forests, because they harness water and give rise to rivers. 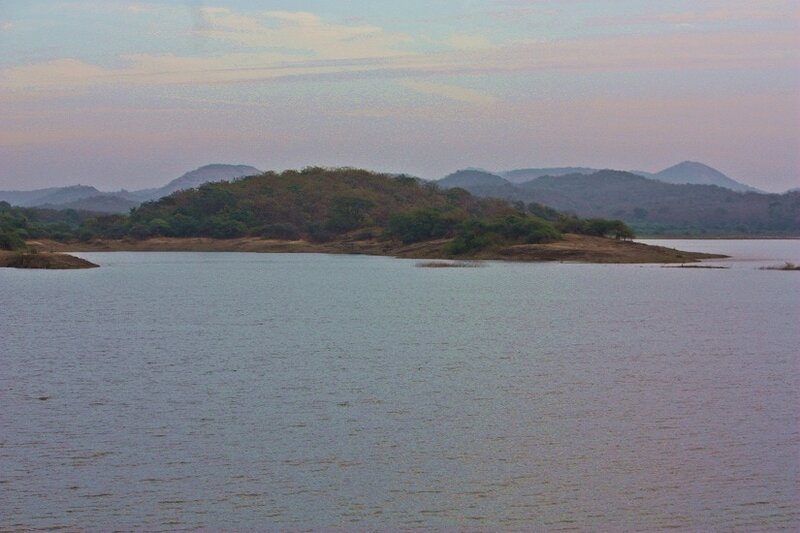 Several rivers, including the Hiran, originate in Sasan Gir — supporting wildlife and downstream farms and cities. These rivers can mean the difference between life and death for millions when the climate becomes drier. India has publicly committed to increasing its forest area under the Paris climate accord. A wonderful win-win would be to create corridors between reserves so that small populations of wildlife do not get genetically isolated. This will mean that human interests must be managed. Forests are wonderful carbon sinks and even with a nominal carbon price of $5 per tonne of CO2, had a value of $6,00,000 crores in 2009.One idea is to use the proceeds from future carbon markets to compensate such interests — by making regular, as opposed to one-time payments, incentives can be better aligned. There are no easy answers, but perhaps we can take hope that in the midst of growing population and infrastructure, big cat numbers have improved in the past decade. The battle is not lost, but the war is far from over.